Specially designed mini 6 inch synthetic leather football. Handsewn with rubber bladder and 2 panels to be autographed. The primitive design of this decorative statue is a rustic memento of tribal art for tabletops, shelves and beyond. Natural brown veining throughout the mango wood grain enhances the featureless face and torso with unintelligible expression that does not exclude emotion. Secured to a wood block base, the traditional sculpture is accessorized with braided rope necklaces and a single fringe earring that suggests warrior status. 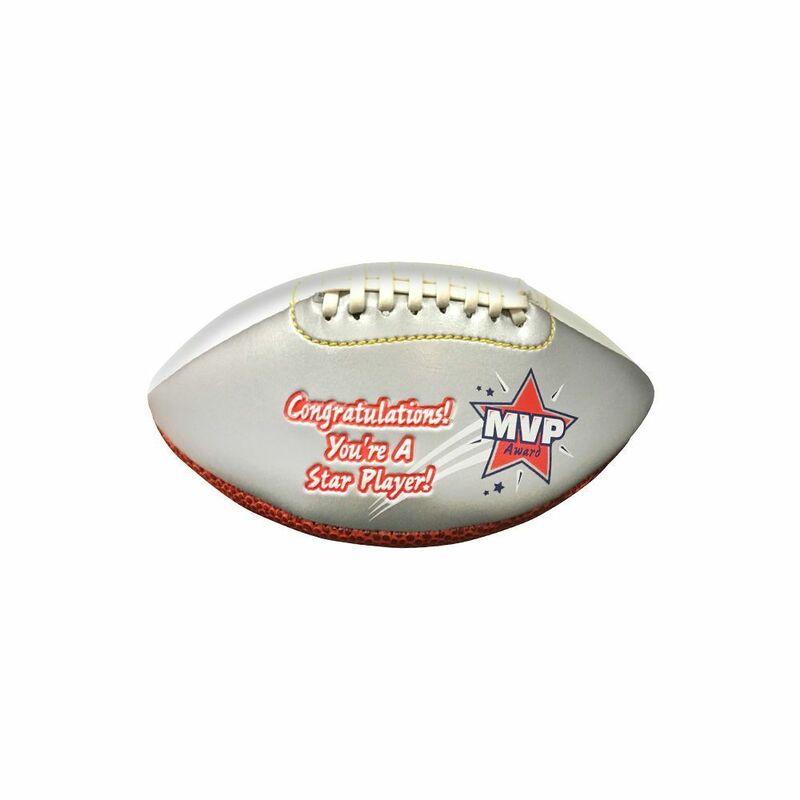 MVP Mini Football Specially designed mini 6 inch synthetic leather football. Handsewn with rubber bladder and 2 panels to be autographed.